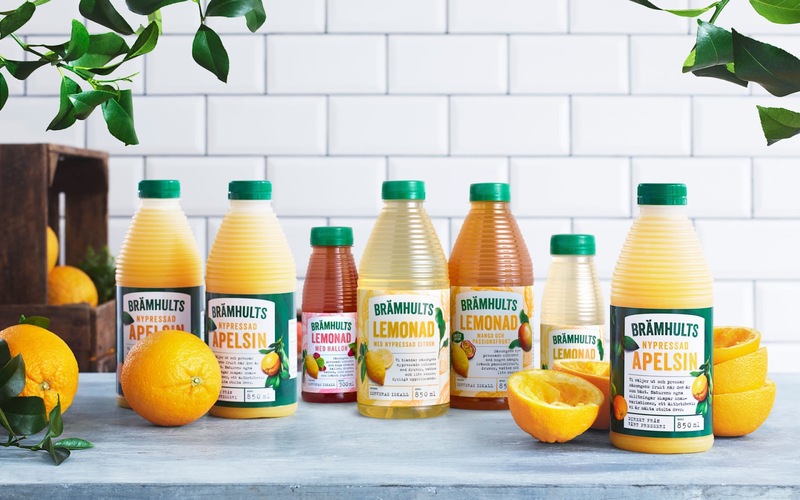 Brämhults’, with its freshly squeezed juice and smoothie ranges, is one of Sweden’s leading brands within the fresh juice category. 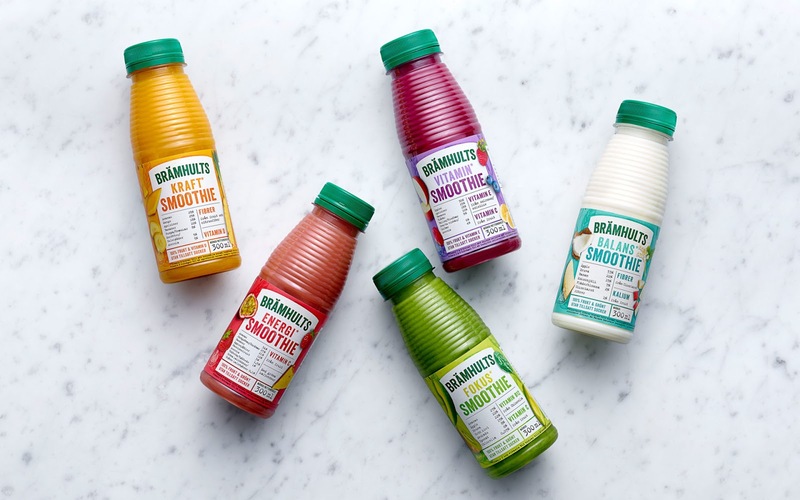 Currently, Brämhults delivers fresh juices, smoothies and fruit drinks to Swedes and the rest of the Nordics squeezed to orders five days a week. With several new players on the market, Brämhults needed to strengthen their position as leaders. Pond Design was commissioned to create a refreshed and modern design without losing brand recognition with storytelling that could translate to all products. 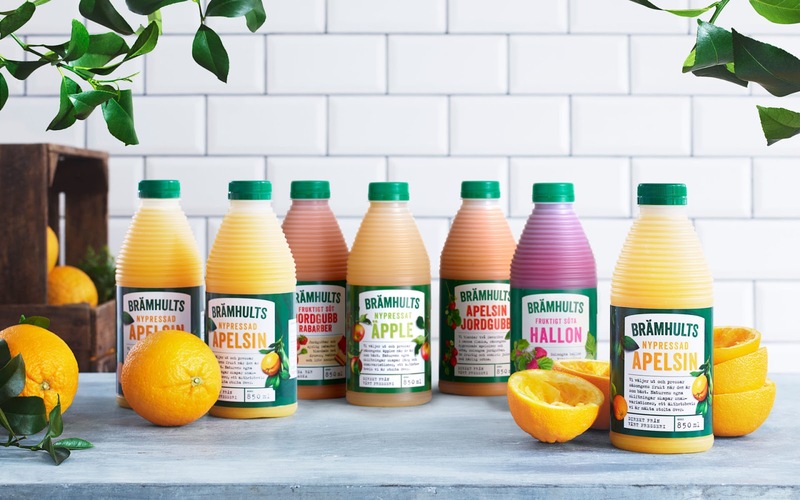 Brämhults are true fruit experts, catering to discerning consumers who appreciate quality and taste. 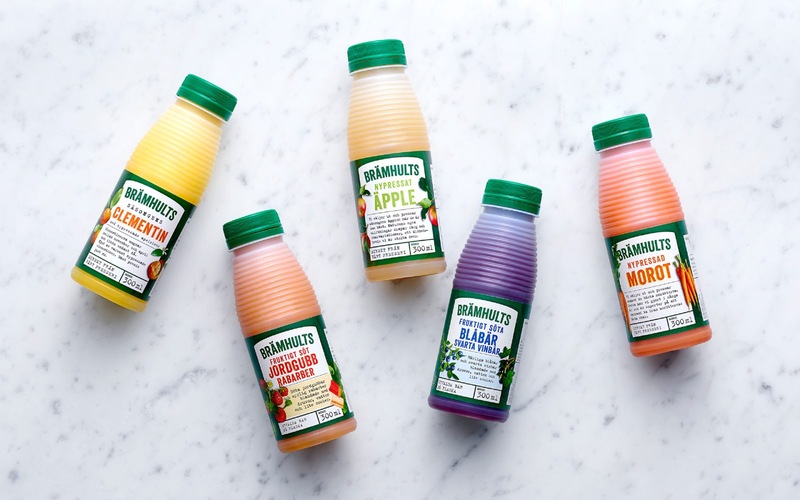 Brämhults juices may vary over the seasons - both in terms of taste and colour,- depending on the natural differentiations in harvests, season and the fruits’ origins. 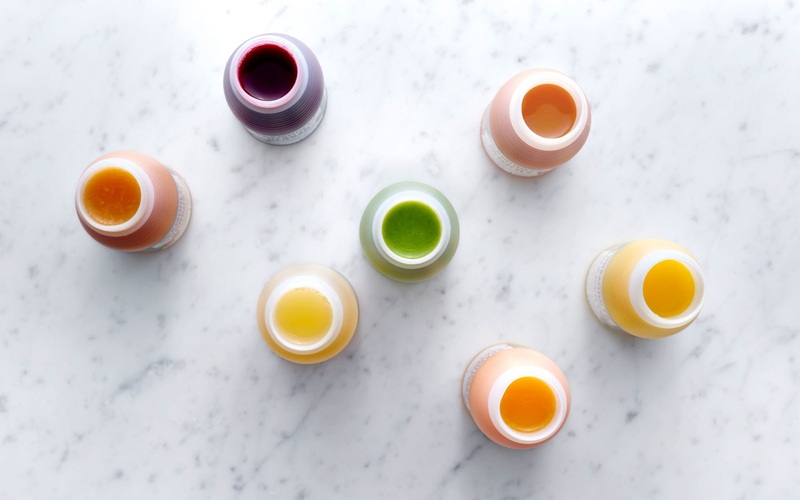 The design idea was to pay homage to nature’s own variations, origins and taste palette and share the story of the juices that come directly from the pressery - where fruits are freshly squeezed and bottled. We worked with an artisanal font with a contemporary look to capture the brand’s soul: craftsmanship and modernity. 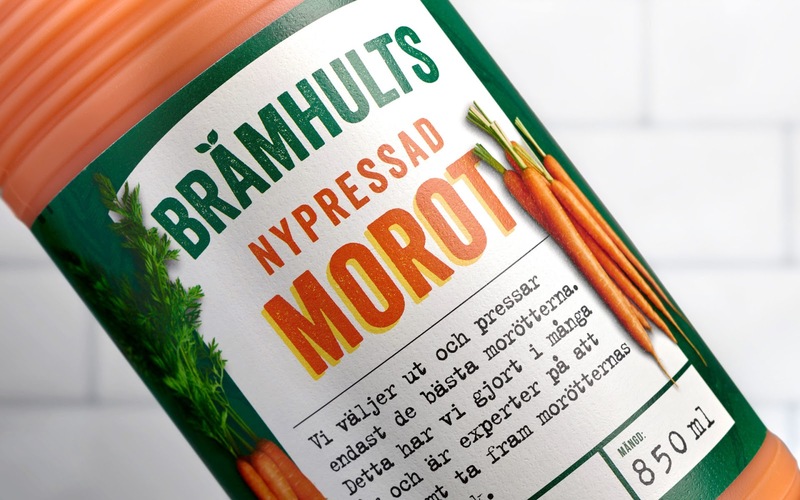 The design demonstrates Brämhults’ passion and knowledge, reinforced by generations of juice makers. 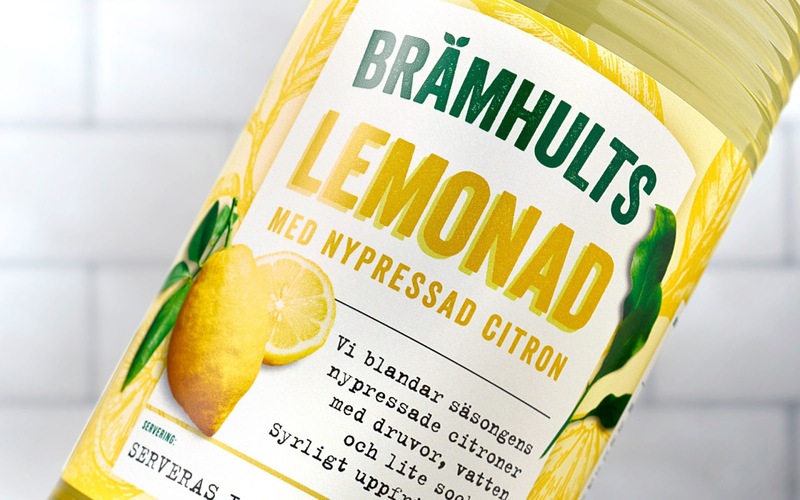 The leaves over the “ä” in Brämhults, a well-known feature, together with the familiar Brämhults green create brand recognition. To illustrate naturalness, seasonal variations and authenticity, we used fruit, berries and vegetables with varied shapes, structures and forms. 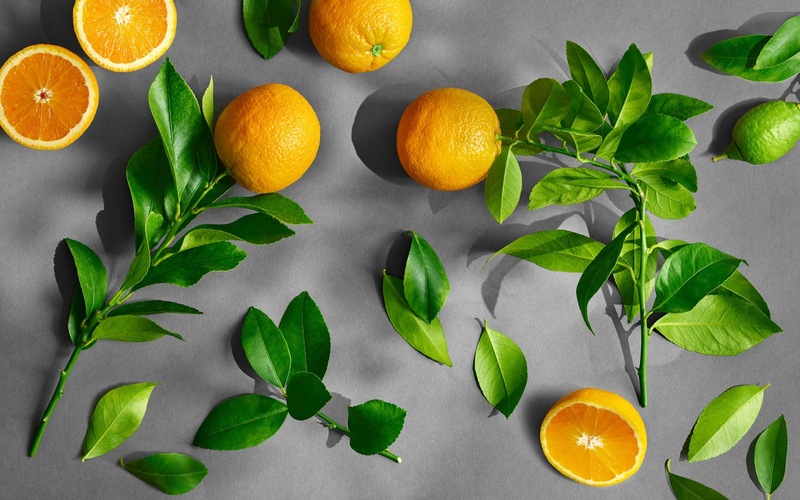 The fruits were photographed with branches, stems and leaves in order to create a natural, untouched look. 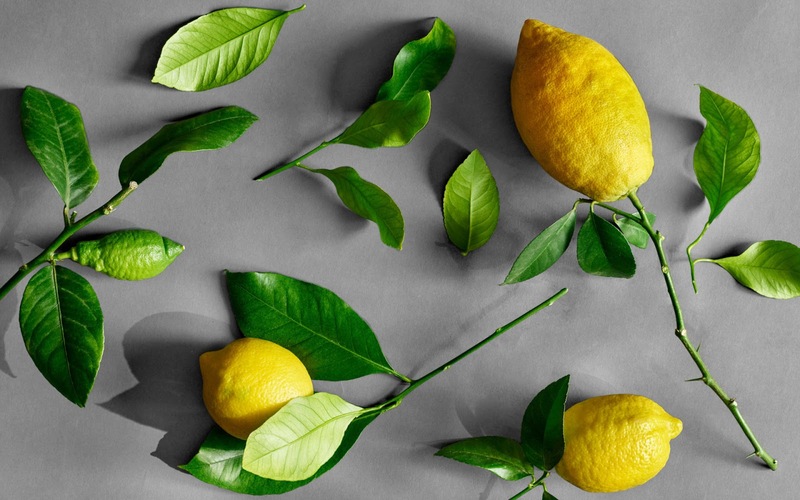 The result is a proudly real and authentic design, where each fruit’s genuine character comes to life.